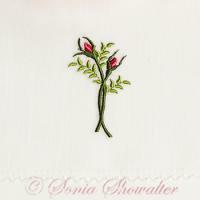 Copyright Information *****************EMBROIDERY DESIGNS *********************** Thank you for trying these designs from Sonia Showalter Designs! 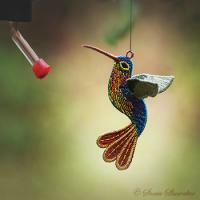 These designs are copyrighted and are for use only by the person who originally downloaded them. EDITING ANY OF THESE DESIGNS IN A WAY THAT CHANGES THE ORIGINAL DESIGN IS NOT PERMITTED. COMBINING WITH OTHER DESIGNS ON TO A SINGLE PROJECT IS PERMITTED ONLY IF IT DOESN'T ALTER THE ORIGINAL MOTIFS IN ANY WAY. Color choices, of course, are allowed! Go to town with that! You have permission to sell or give away the sewn out design. 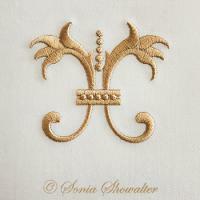 Selling is permitted on condition that credit is given to Sonia Showalter Designs on an attached tag. If selling online, credit should be given with each design posted. 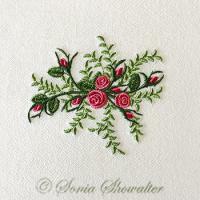 Credit should state, " Embroidery designed by Sonia Showalter" or " Sonia Showalter Designs". Tag should be attached to item and easy to read. These printable tags are available free of charge, if you wish to use them. Copyright Information*****************PRINTABLE DESIGNS*****************These printable designs are under Copyright protection and permission is granted for personal use and for gifts as well as for selling of the printed product. Selling is permitted on condition that credit is given to Sonia Showalter Designs on an attached tag. If selling online, credit should be given with each design posted. 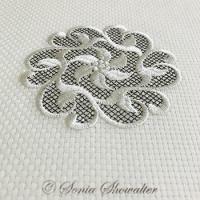 Credit should state, " Embroidery designed by Sonia Showalter" or " Sonia Showalter Designs". Tag should be attached to item and easy to read. These files may NOT be offered or distributed elsewhere in any format, whether for sale or for free. Transferring the computer file to another in any form is a violation of copyright and punishable by law. These files may NOT be modified OR combined with other graphics. The printed item, may be embellished as in card making. 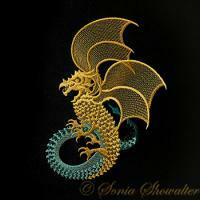 Above copyright applies to all of Sonia Showalter Designs, whether they are for sale or ar free. I UNDERSTAND THESE ARE FILES FOR COMPUTERIZED EMBROIDERY MACHINES. I UNDERSTAND THAT DUE TO THE DIGITAL NATURE OF THESE FILES THERE ARE NO REFUNDS. COPYING AND SHARING ANY OF THE FILES FOUND ON THIS SITE IS A VIOLATION OF COPYRIGHT. PLACING THIS ORDER MEANS THAT I HAVE READ, UNDERSTAND, AND AGREE WITH THESE TERMS.